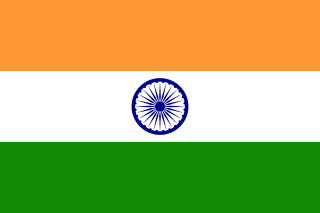 Bunt are a community from Karnataka India. They traditionally inhabit the coastal districts of Karnataka and considered to have been the ruling military class and administrative elite landed gentry of the cultural region of Tulu Nadu, the Bunts today are a largely urbanised community. Shilpa Shetty, also known by her married name Shilpa Shetty Kundra, is an Indian actress, businesswoman, producer, model and writer. Primarily known for her work in Hindi films, she has also appeared in Kannada, Telugu and Tamil language films. One of the most popular actresses of Indian cinema, Shetty is the recipient of numerous accolades, including four Filmfare Award nominations. After completing her degree in Commerce from Sydenham college, Shamita did a fashion designing diploma from SNDT college Mumbai. After this, she started her internship with ace fashion designer Manish Malhotra, but Manish saw a spark in her and suggested to prep her for her acting career. In 2011, Shamita decided to follow her passion in Interior design  and did her first solo project by designing Royalty,  a club in Mumbai. Later, her love for interior design pushed her to do a diploma from Central Saint Martins and Inchbald School of Design in London. Manish Malhotra is an Indian fashion designer who often works with Hindi cinema actresses. He launched his label in 2010. Central Saint Martins, often abbreviated to CSM, is a public tertiary art school in London, England. It is a constituent college of the University of the Arts London. It offers full-time courses at foundation, undergraduate and postgraduate levels, and a variety of short and summer courses. Mohabbatein is a 2000 Indian musical romantic film directed by Aditya Chopra. It was Chopra's second directorial venture after Dilwale Dulhania Le Jayenge and was filmed in India and the United Kingdom. The film stars Amitabh Bachchan, Shah Rukh Khan, Uday Chopra, Jimmy Sheirgill, Jugal Hansraj, Shamita Shetty, Kim Sharma, Preeti Jhangiani and Aishwarya Rai Bachchan in the lead roles. The film's soundtrack was composed by Jatin-Lalit, while the lyrics were penned by Anand Bakshi. The film is notable for being the first time that Bachchan and Khan appeared on-screen together. Her passion for the entertainment industry kept drawing her back and she returned with a reality show Bigg Boss ,  internationally known as Big Brother on Indian television. She opted out of the show for her sister Shilpa Shetty's wedding  . She was out of the show on 14 November 2009 (day 41) after staying for 6 weeks and was the only contestant who wasn't nominated even once during her stay in the Bigg Boss house. Soon after, she appeared on the Indian version of Dancing with the stars – Jhalak Dikhhla Jaa . Recently she did the web series Yo Ke Hua Bro,  streaming on Voot  on Viacom 18 digital platform. It is directed by Suparn Verma, and also stars a talented bunch of actors like Aparshakti Khurana, Gaurav Pandey and Ridhima Pandit. Bigg Boss is a television reality show broadcast on Colors channel in India. It follows the Big Brother format, which was first developed by Endemol in the Netherlands. Over eleven years, Bigg Boss has rolled out eleven seasons and one spin-off version. The current season, season 12, airs on Colors. Big Brother is a Dutch reality competition television franchise created by John de Mol Jr., first broadcast in the Netherlands in 1999, and subsequently syndicated internationally. The show features contestants called "housemates" who live together in a specially-constructed house that is isolated from the outside world. Inspired by Big Brother from George Orwell's novel Nineteen Eighty-Four, the housemates are continuously monitored during their stay in the house by live television cameras as well as personal audio microphones. Throughout the course of the competition, the housemates are voted out until only one remains and wins the cash prize. Shamita endorsed Pantene  along with Shilpa Shetty for a year. Over the years, She has been associated with brands like Aldo  , Audi  , IIJAS Jewellery exhibition  to name a few. Pantene is a Swiss-created American brand of hair care products owned by Procter & Gamble. The product line was first introduced in Europe in 1945 by Hoffmann-La Roche of Switzerland, which branded the name based on panthenol as a shampoo ingredient. It was purchased by Procter & Gamble (P&G) in 1985 in order for P&G to compete in the "beauty product" market rather than only functional products. Pooja Bedi is a former Bollywood actress, television talk show host and newspaper columnist. She is the daughter of actor Kabir Bedi and the late Protima Bedi. Pooja participated in the popular reality show, Bigg Boss in 2011. Shaadi Karke Phas Gaya Yaar is a Bollywood film directed by K. S. Adhiyaman best known for directing Hum Tumhare Hain Sanam (2002). Salman Khan and Shilpa Shetty star in the lead roles as husband and wife. Reema Lagoo, Mohnish Behl and Shakti Kapoor also star. It did poor box office. The film is a remake of the Tamil, Madhavan starrer, Priyasakhi. Karanvir Bohra, known also as Manoj Bohra, is an Indian television and film actor, producer and designer. Mahhi Vij is an Indian model and actress. She is known for playing the role of Nakusha in Laagi Tujhse Lagan and Nandini in Balika Vadhu. Mahhi along with Jay won the title of Nach Baliye 5 in 2013. Gurmeet Sitaram Choudhary, known professionally as Gurmeet Choudhary, is an Indian television actor, model and dancer. His Bollywood debut was in Karan Darra's horror movie Khamoshiyan. He won fame when he won the fifth season of the dance contest Jhalak Dikhhla Jaa. Gauhar Khan is an Indian model and actress. After pursuing modeling, she made her acting debut with Yash Raj Films' Rocket Singh: Salesman of the Year (2009). Khan also starred in films such as the action thriller Game (2011), the revenge drama Ishaqzaade (2012), the suspense thriller Fever (2016), the romantic comedy Badrinath Ki Dulhania (2017) and the Indian period drama Begum Jaan (2017). Ajaz Khan is an Indian film actor. He has starred in movies such as Rakta Charitra and Allah Ke Banday and acted in several television daily soaps including Rahe Tera Aashirwaad and Kahaani Hamaaray Mahaabhaarat Ki. Khan was a wild card entry in the reality television show Bigg Boss 7, Bigg Boss 8, where he finished in third. 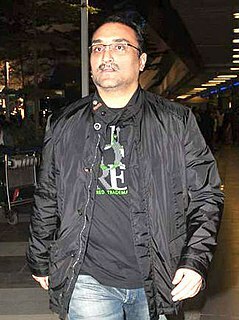 Initially in the show, he featured in many feuds with his fellow contestant Armaan Kohli, but later they buried their hatred and were seen behaving in a friendly way with each other. He also appeared on the TV show Comedy Nights with Kapil. Rochelle Rao is an Indian model,actor and anchor. She was crowned Miss India International in 2012. She was featured in Kingfisher Calendar and various TV shows. She was a contestant on Bigg Boss 9 in 2015. She also appeared as a main character named 'Lottery' in The Kapil Sharma Show. 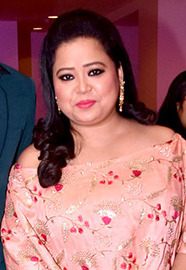 Bharti Singh is an Indian stand-up comedian from Amritsar, Punjab, India. She is known for her role of Titli Yadav in The Kapil Sharma Show. She participated in reality shows Jhalak Dikhhla Jaa (2012), Nach Baliye (2017) and Fear Factor: Khatron Ke Khiladi (2019). Fear Factor: Khatron Ke Khiladi Darr Ka Blockbuster is the fifth season of India's stunt/action reality game show Fear Factor: Khatron Ke Khiladi, based on the American Fear Factor. The series premiered on Colors TV. The show is hosted by filmmaker Rohit Shetty. the first episode was narrated by Bollywood actor Amitabh Bachchan. Lopamudra Raut is an Indian model, beauty queen and actress from Maharashtra. Raut represented India at the Miss United Continents 2016 pageant where she was crowned second runner up. She also won the title of 'Best National Costume' for India at the pageant. In 2016, she participated in Colors TV's Bigg Boss 10 where she was the second runner up. She went on to participate in Khatron Ke Khiladi 8 where she finished as a semi finalist. Tara HD is a Malaysian Hindi-language pay-television channel, owned by satellite provider Astro. 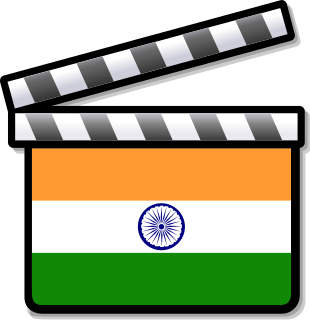 It offers Bollywood Movies and Indian-made programming, including television productions from Colors TV, StarPlus, Life OK, Sony Entertainment Television, FYI TV18, Food Food TV, Big Magic, MTV India, Living Foodz and Zee TV. The channel was launched on 19 October 2016, replacing Zee Variasi. Tara HD broadcasts movies and programs with optional Malay and English subtitles. 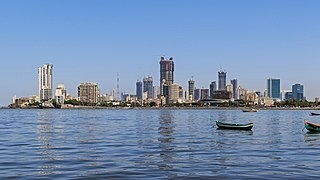 The eighth season of Fear Factor: Khatron Ke Khiladi, an Indian reality and stunt television series premiered on 22 July 2017 and is broadcast on Colors TV. The name of the season was Khatron Ke Khiladi: Pain in Spain. It aired on Saturday and Sunday nights at 9 PM. The series is produced by Deepak Dhar of Endemol India. Vikas Gupta is an Indian television producer, creative director and host known for participating in Bigg Boss 11, hosting Ace Of Space 1 and participating in Fear Factor: Khatron Ke Khiladi 9. Arshi Khan is an Indian model, actress, internet celebrity and reality television personality and a politician of Indian National Congress. She was a contestant on the popular reality television show Bigg Boss in 2017. Khan rose to prominence due to her videos, images, and comments on social media discussing her daily routine and various controversial issues. During her appearances on the show, she was Google India's second-most searched entertainer of 2017, after Sunny Leone. On 28 February, Arshi joined Indian National Congress party for the 2019 elections where she will be the representative from Mumbai and will contest in it.In September 2015, Khan claimed to be in a relationship with Pakistani cricketer Shahid Afridi. 1 2 "Birthday girl Shamita Shetty turns 35, parties with sis, Bipasha". India Today. 2 February 2014. Retrieved 22 May 2016. 1 2 "R Madhavan, Shilpa Shetty, Karishma Tanna, Upen Patel and others attend Shamita Shetty's birthday bash". International Business Times. 4 February 2016. Retrieved 22 May 2016. ↑ "Shamita Shetty rings in her birthday in style with sister Shilpa Shetty and friends - Bollywood celebs and their birthday celebrations - The Times of India". The Times of India. ↑ "Khatron Ke Khiladi 9's Shamita Shetty flaunts her svelte figure in a swimwear by the pool". 1 2 "Khatron Ke Khiladi Is Back. Contestants Include Vikas Gupta, Bharti Singh, Haarsh Limbachiyaa". 12 July 2018. ↑ "Shamita Shetty: Filmmakers just assumed I'm not interested in acting and films". 22 September 2017. 1 2 "Shamita Shetty has design plans - Latest News & Updates at Daily News & Analysis". 21 March 2013. ↑ ""I Didn't Have Enough." Shamita Shetty Opens Up About Her Career Choices In Candid Interview". 23 September 2017. ↑ "A candid chat with Shamita Shetty". ↑ "Shamita Shetty: Going Into Bigg Boss Was A Challenge That Went Completely Against My Personality". ↑ "Shamita upset with Bigg Boss - Times of India". ↑ "Shamita Shetty wins 'Dance Marathon' on 'Jhalak Reloaded'". 11 September 2015. ↑ "Getting some interesting projects in web space: Shamita Shetty". 3 February 2018. ↑ "Shamita Shetty Is Making A Debut Again, This Time In Web Series Called Yo Ke Hua Bro". ↑ musicjinni. "Shilpa Shetty with Shamita Shetty in Pantene TV Commercial - Music Jinni". www.musicjinni.com. ↑ "Shamita Shetty at Aldo launch in Mumbai on 2nd Sept 2016". ↑ "Shamita Shetty At Audi Magazine Launch videos - IndiaGlitz.com". ↑ "Shamita Shetty inaugurates 11th Edition of IIFJAS - Free Press Journal". 12 August 2017. Wikimedia Commons has media related to Shamita Shetty .